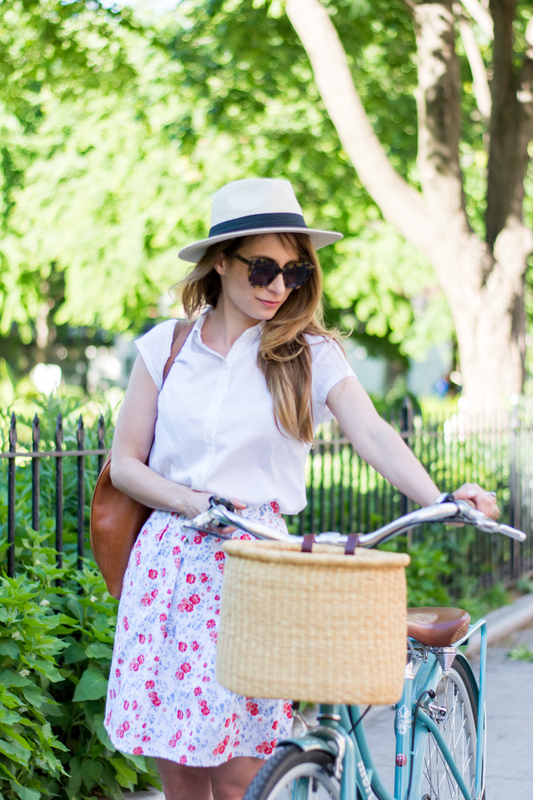 OOTD - Bicycle Riding Season | La Petite Noob | A Toronto-Based Fashion and Lifestyle Blog. Love this! You look so French countryside! And such a beautiful skirt. Thank you Gabriella! 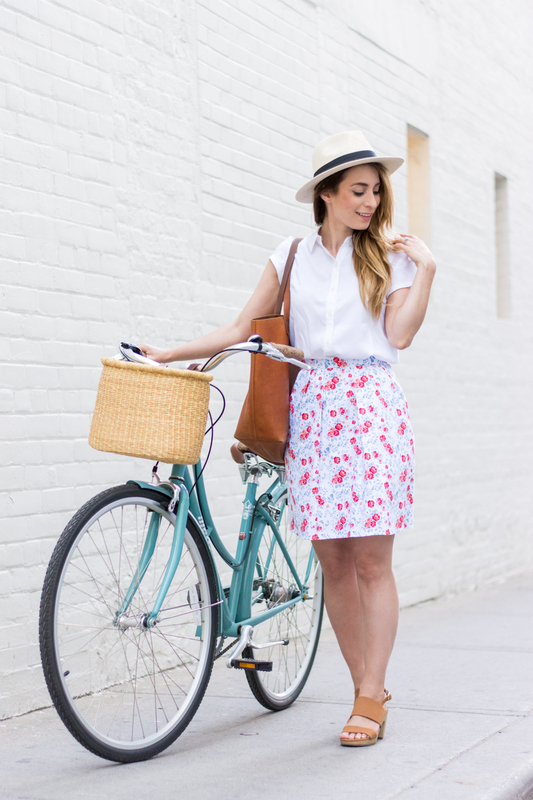 Call me crazy, but I love wearing skirts like this one a leisurely bike ride. 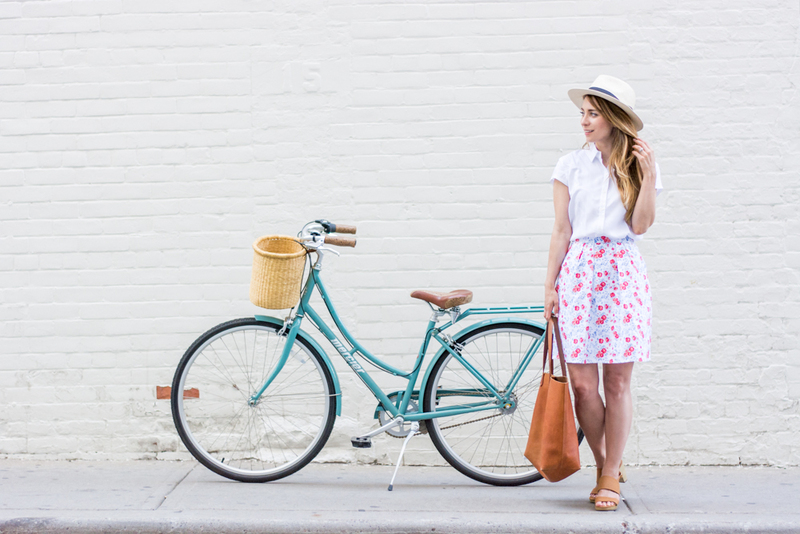 I love the outfit and the bike! The photos turned out so gorgeous from this shoot! Thanks Jackie! I'm so glad that you like the look and the bike - I am obsessed with my bike!! 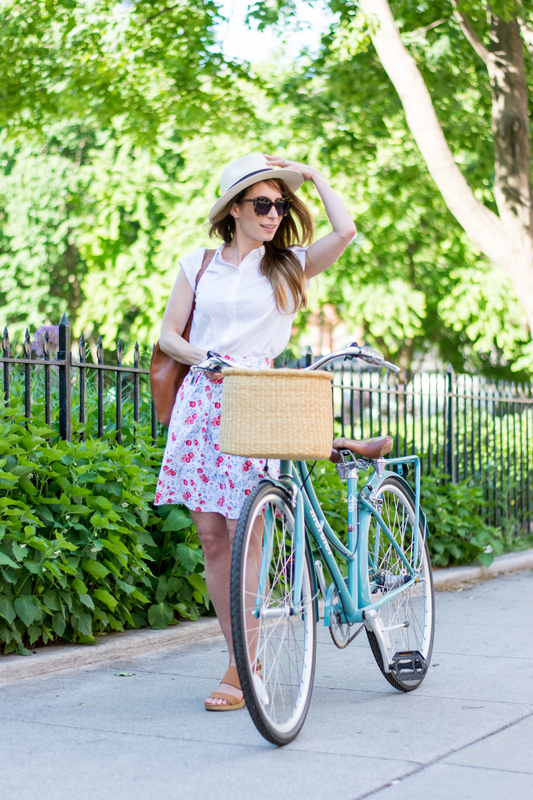 Mu summer wheels do not have a brake, so wearing a skirt not ideal for me when biking. lol. 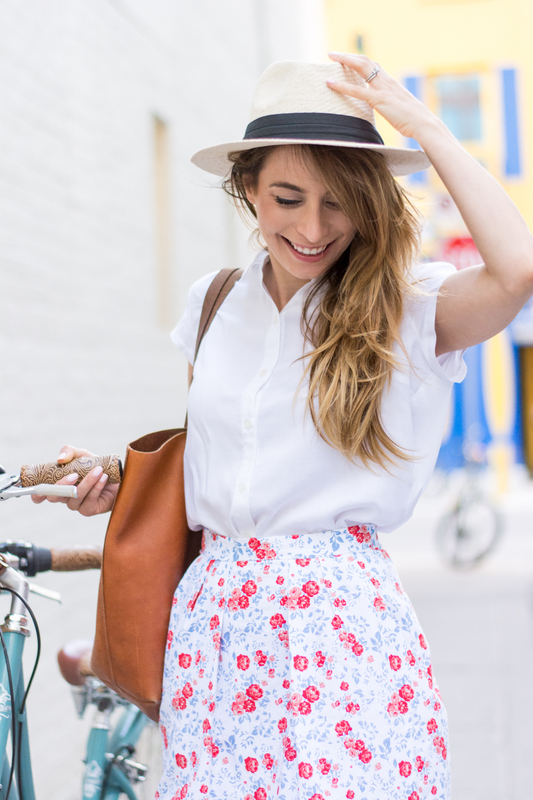 Love this cute skirt on you though. Thank you Joelle for such a beautiful look! 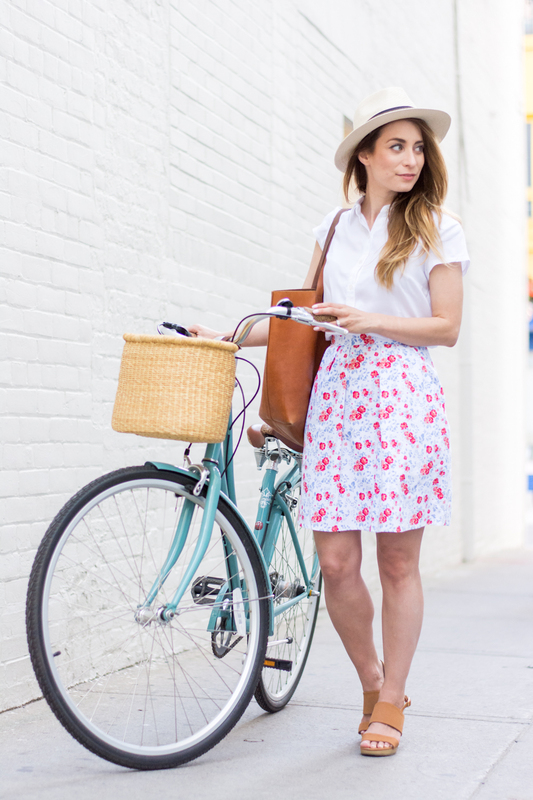 I thought you all would like to know that we just shipped a couple of our locally printed floral skirts (featured in this post) to ''Coal Miner's Daughter'' on Queen Street West. Have a great summer girls!